Well guys, we officially have something even more potentially exciting than Halloween this week. Nintendo has posted on various places online, including the Nintendo Versus twitter, that there’s a Smash Bros. Ultimate focused Direct happening this Thursday. That’s exciting, because every time we’ve had an Ultimate focused Direct, it’s generally been pretty incredible. Hell, the last time one happened, it revealed a whole host of new stuff, including the Belmonts, Dark Samus, Chrom and King K. Rool. Honestly I’m still recovering from that one, and I’m not totally sure I’ll survive another that jam packed with content. But my body is always ready for new Smash related coverage, especially as we get closer to the December release date. 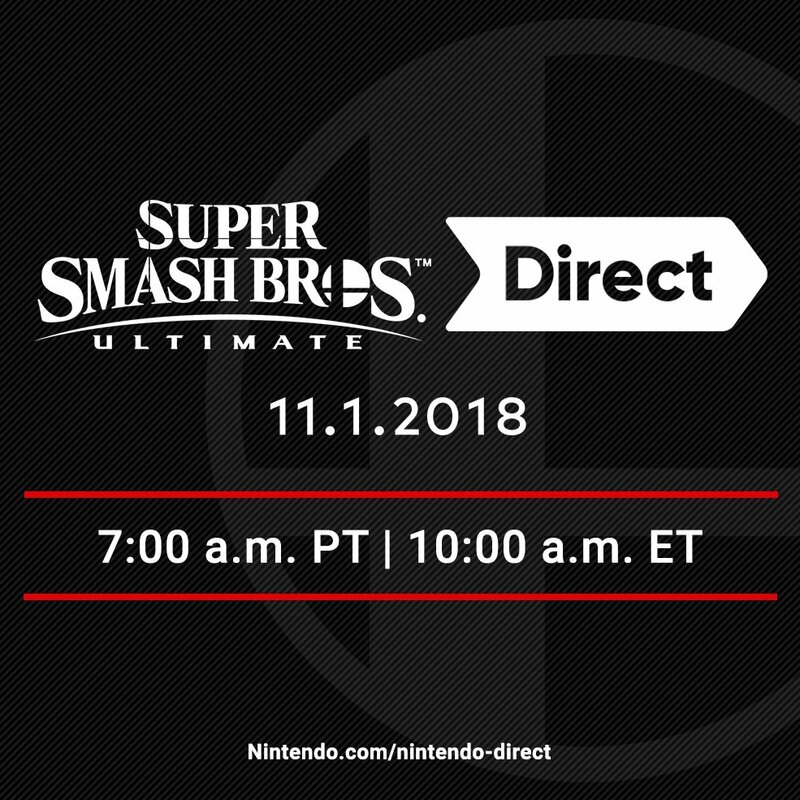 For those eager to see firsthand what surprises Sakurai has in store, you can tune in this coming Thursday, November 1st, at 7 AM P.T. / 10 AM E.T, respectively. It’s slated to last 40 minutes, and Sakurai can reveal a lot of fun stuff in that amount of time. I’m personally hoping he’ll at least confirm what that other mode he hinted at is, and perhaps another playable character (or hopefully more). Either way, tune into oprainfall afterwards for our coverage of the Direct, and stay tuned for our review of Smash Bros. Ultimate after it releases!